Chicago Blackhawks fans were stunned Tuesday morning when the organization announced the firing of Joel Quenneville. 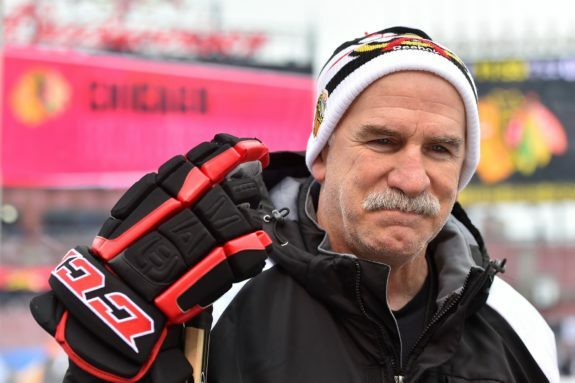 In his tenure with the Hawks, Quenneville won three Stanley Cups, became the second most winningest coach in the history of the NHL, and won the hearts of every Hawks fan. He will no doubt go down as one of the best coaches in the history of NHL, and his legacy speaks for itself. It’s no secret that Quenneville is the best head coach in Blackhawks history, but one of the best in the league. In his decade as the head coach of the Hawks, he helped add three Stanley Cups to their trophy case in six years, doubling their amount of championships they had before he became the head coach. His overall coaching record is 890-532-137 in the regular season and 118-97 in the playoffs. 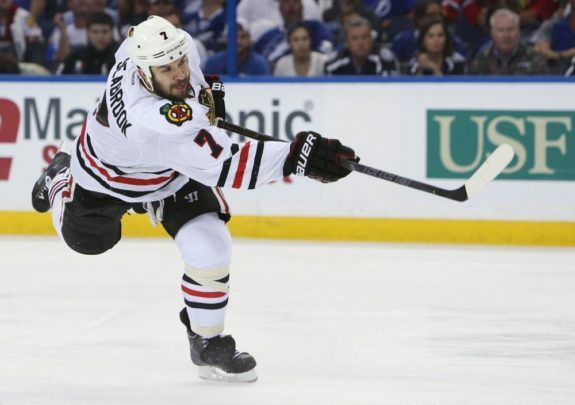 With the Hawks, his record was 452-249-96 in the regular season and 76-52 in the playoffs. One doesn’t have to be a hockey expert to say his numbers are beyond impressive. In January 2016, Quenneville became the second most winningest coach in the history of the NHL, trailing the legendary Scotty Bowman. It would be perfectly fine for his reputation if he decides not to take another coaching job after his firing. He has already cemented his place in the hall of fame as well as one of the greatest coaches in the history of the league. Hawks captain Jonathan Toews helped cement Quenneville’s legacy after his firing, as he told the Chicago Tribune, “I can’t be more thankful what I’ve gone through playing for him and winning championships. You can’t ask for a better guy, a better coach.” (from ‘‘You can’t ask for a better guy, a better coach’: What Blackhawks players said about Joel Quenneville’s firing’, Chicago Tribune – 11/6/18). Quenneville wasn’t the average coach, which was likely one of his many keys to success. After he was fired, many Hawks players spoke of their positive relationship with him and what it was like to play for a living legend. Toews told the Chicago Tribune, “He cared about his players. He cared about the game. He’d let you know every time you came off the ice after a win because nobody loves winning more than he does. He had so much experience and, playing for him for such a long time, you know you’re playing for one of the best coaches in the history of the game.” (from ‘‘You can’t ask for a better guy, a better coach’: What Blackhawks players said about Joel Quenneville’s firing’, Chicago Tribune – 11/6/18). Patrick Kane kept it simple, as he told the Chicago Sun-Times, “The guy breeds winning. The one thing that just sticks out is his passion and his excitement to try and win hockey games, so that will definitely be a void that we’ll try to fill in here.” (from ‘Blackhawks players feel partially responsible for Joel Quenneville’s firing’, Chicago Sun-Times – 11/6/18). Ordinary coaches don’t receive this kind of praise after being fired. This speaks to how good of a coach and person Quenneville is. Being a good and classy person isn’t always valued in the world of sports, but the Hawks have established themselves as one of the classiest sports organizations in the past few years. Quenneville, and how his players speak of him, is without a doubt a factor. Other coaches should take note if they want to be as successful as him. At 60 years old, it’s Quenneville’s choice whether to retire after his firing or move onto another team. There’s no doubt that other teams have their eyes on him, and many in the media have made their picks among several NHL teams who might take him on. At the end of the day, it all comes down to money and his personal choice whether to continue or not. He could retire today as one of the greatest coaches of all time. In Quenneville’s tenure with the Hawks, he accomplished more than any coach could possibly dream of. He has left a positive legacy on the entire Blackhawks organization from the fans to the players, the city of Chicago, and the National Hockey League. He is sure to be missed by all Hawks fans.